Found 94 blog entries for December 2014. On Friday, January 9 come and watch Sol Seed - Reggae/Hip-hop/Psychedelic From Eugene at The Emerald of Siam located in 1314 Jadwin Richland, Washington. The show is free and starts at 9:00 in the evening. 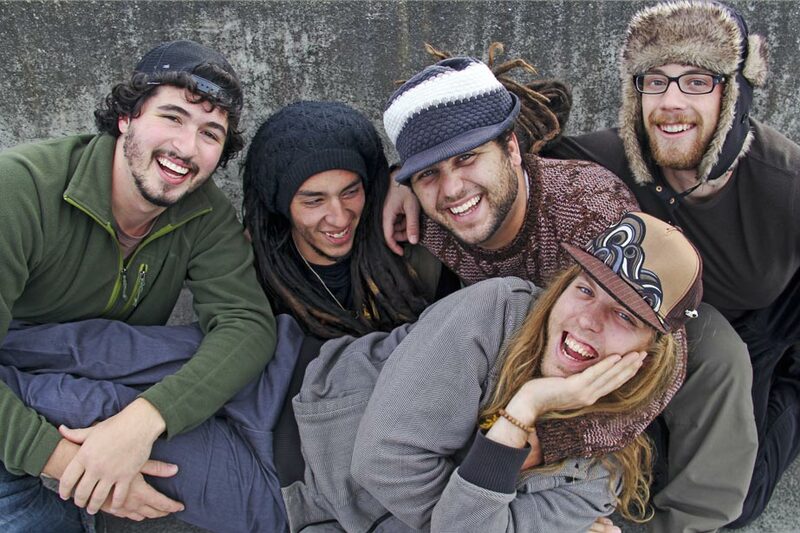 The group will entertain their audience to their distinct sound combining the best elements of Reggae, Rock, Hip Hop and Psychedelic Jam to form a positive musical fusion that is uniquely their own. With conscious, thought-provoking lyrics, infectious reggae-laden grooves and high-energy, impressive live performances, Sol Seed creates an unforgettable live-music experience for people of all ages to enjoy. On Saturday, January 10 catch Badger Mountain Dry Band - Bluegrass at The Emerald of Siam located in 1314 Jadwin Richland, Washington. The show is free and starts at 5:00 until 8:00 in the evening. Badger Mountain Dry Band has brought their brand of progressive bluegrass music to the Pacific Northwest for over 21 years. The band plays traditional bluegrass instrumentation and has presented a music ranging from traditional bluegrass standards, original Gospel material, 60’s rock and roll, swing tunes, big band tunes, old country standards, and more. 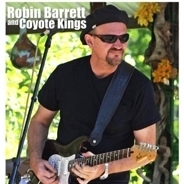 On Friday, January 16 watch Robin Barrett And Coyote Kings at The Emerald of Siam located in 1314 Jadwin Richland, Washington. The show is free and starts at 9:00 in the evening. 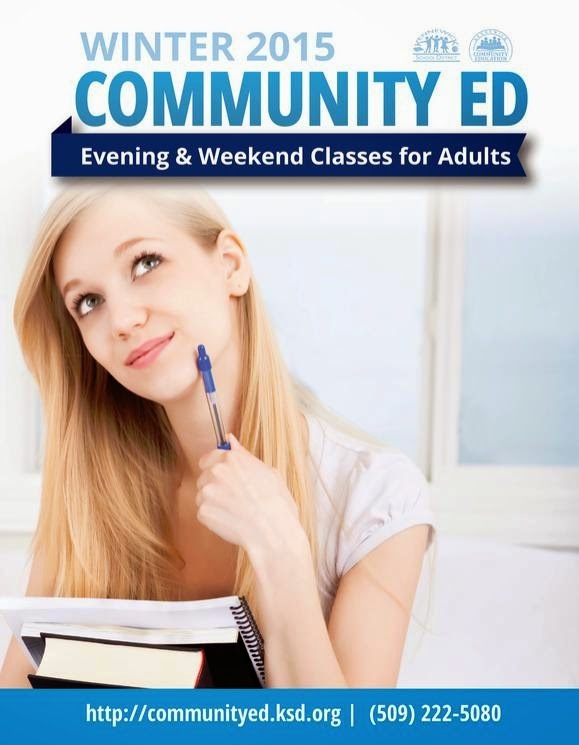 Registration for the Winter 2015 Community Education Evening and Weekend Classes for adults will begin on Saturday, January 3. This year's winter schedule will begin on January 20 until March 19. It will be featuring both series classes and one or two day classes. Community Education is offered through the Kennewick School District. On Wednesday, December 31 experience First Night Tri Cities with your loved ones at Three Rivers Convention Center in Kennewick, Washington from 5:00 in the afternoon until midnight. First Night Tri-Cities provides a safe and friendly environment for families to spend New Year's Eve together. There will be several stages and activities running simultaneously, surely this is the best value you'll find anywhere in the Mid-Columbia on New Year's Eve. One affordable ticket gets you admission to savor live music of all kinds, have your children participate in Kid's Zone activities, get a kick out of a hypnotist show, enjoy exciting main stage acts, and then gather for a spectacular fireworks display at midnight! This coming Saturday, January 3 the Richland Community Center will host a Bluegrass Open Mic / Winter Show at 2:30 in the afternoon. Free admission but donations accepted. The Mid-Columbia Traditional Arts & Music Association will be hosting a bluegrass open mic event that is open to all ages. Acoustic bluegrass and fiddle tunes will be performed. Musician signups start at 2:15 p.m. sharp. Last group ends at 5:30 p.m. There will also be a jam session taking place in another room. Richland Community Center is located at 500 Amon Park Dr. in Richland, Washingotn. 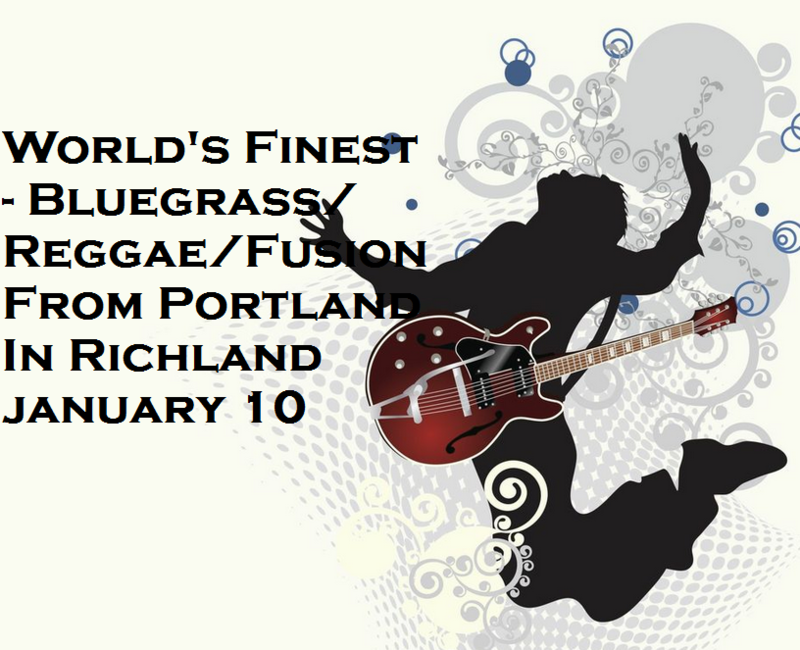 On Saturday, January 10 be entertained by World's Finest - Bluegrass/Reggae/Fusion From Portland at The Emerald of Siam located in 1314 Jadwin Richland, Washington. The show is free and will be at 9:00 in the evening. The group is a unique band that fuses too many genra's to count. Everything from Bluegrass to reggae and ska to funk finds its way in to their set. Their shows are an unbridled expression of energy and love for music. Stunning four part harmonies, electric banjo and upright bass make this an experience you surely don't want to miss! On Friday, January 16 come and watch "Girls Night The Musical" at Windermere Theatre Toyota Center in Kennewick, Washington. Show starts at 8:00 in the evening. Thrilling audiences and earning raves from critics throughout North America since it began touring after its sensational Off-Broadway debut, Girls Night The Musical is surely something that you and your friends will enjoy. The musical is both touching and entertaining that is a ‘tell-it-like-it-is'. It promises to take audiences on a journey into the lives of a group of female friends. Committed to bringing quality cinema entertainment to the Tri-Cities, the Battelle Film Club will be showing "Cache" at the Battelle Auditorium, Battelle Boulevard Off George Washington Way Richland Washington on Friday, January 16 at 8:00 in the evening. 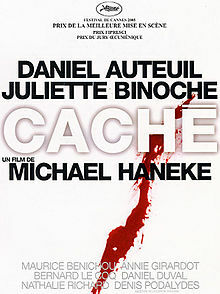 The movie titled Hidden in the UK and Ireland, is a 2005 French-language thriller written and directed by Michael Haneke. The film stars Daniel Auteuil as Georges and Juliette Binoche as his wife Anne. On Thursday, January 15 at 6:00 in the evening come and join Wine And Watercolors - "Winter Forest Sunset" at Goose Ridge Winery 16304 Dallas Road Richland, WA . About Wine & Watercolors - "Winter Forest Sunset"
You don’t need to be an expert and all art supplies will be provided for a day of fun, non-serious painting get-together along with a bit of delectable wine. The first glass of wine is on the house. Admission is $47.00.